Nada Split has completed the double. 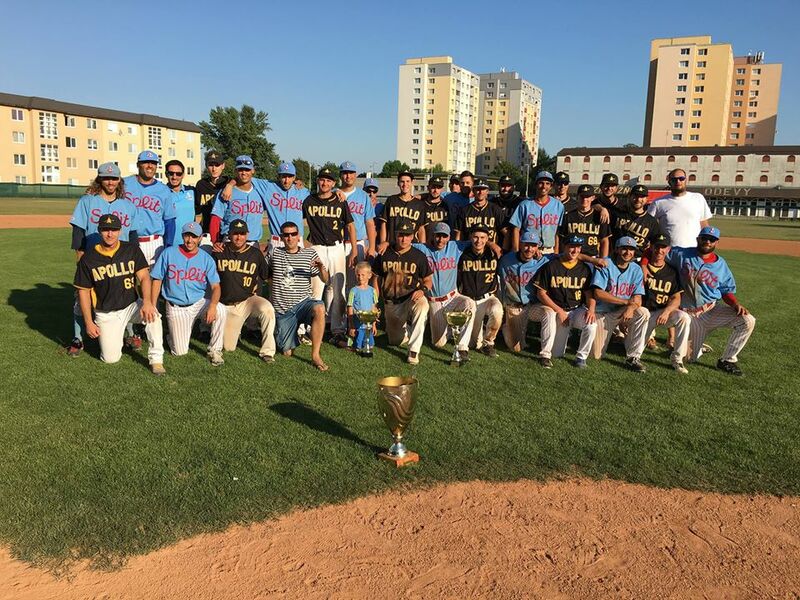 After winning the Croatian Championship they also captured the title at the Euro Interleague Baseball 2016. On Sunday they shut out Apollo Bratislava 7-0 in the final game. Trevor Caughey pitched 8 1/3 innings for the win. He struck out eight. Franko Vrlic-Kovacic and Marin Tadic scored two runs apiece. Pavol Teslik got charged with the loss. On Saturday both teams had won their semi-finals at the Final Four. Apollo beat Olimpija Karlovac 9-2, while Split downed the Angels Trnava 9-1.